Hannah Walker has been working at Studio G for three years now. She started her career in high school, earning her license through the cosmetology program. Working hard as an assistant she proved her talents quickly and became a stylist. 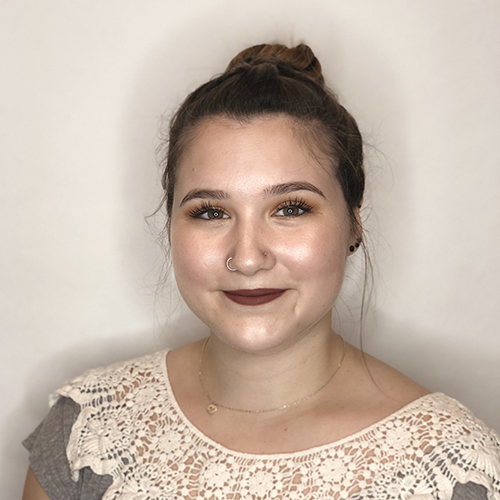 With her love of education, Hannah has attended many advanced classes completing several advanced cutting courses and is a certified Affinage colorist. A self-proclaimed bookworm, she loves cuddling up to her sweet puppy and reading a good book. Fun fact: Hannah was born on Christmas day!